Dubai, UAE, 15 April 2019: The Communications and Information Technology Commission (CITC), and the Internet Society held their first regional workshop on enabling the digital infrastructure in the Middle East region. The workshop was attended by delegates from KSA, Egypt, Bahrain, Oman and the Internet Society. The Arab governments have all either embraced or started implementing their digital transformation strategies. The Internet infrastructure has become the basic infrastructure for the entire digital transformation. Global research shows that the enabling factors are infrastructure, digital skills and entrepreneurship, and good governance. The workshop aimed to identify the specific challenges and opportunities of the region. Moreover, the workshop also shed light on the efforts taken by Arab countries to develop and protect their critical information infrastructure, how they perceive cooperation among government organizations and among regulators, CERTS and law enforcement agencies. “We are a global, non- profit organization that believes that the Internet is for everyone, a technology that can enrich people’s lives, and a force for good in society. 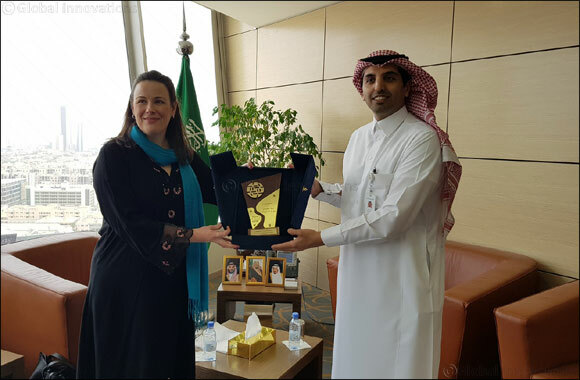 We look forward to working with partners across the region in support of an open, globally-connected, secure, and trustworth Internet that meets the aspirations of people across the Middle East.” said Ms. Sally Wentworth, VP of Global Policy at Internet Society. “In most cases, creating the “right” environment is not an easy task for policymakers/ governments because there is no blue print or “one solution” that fits all. Global research has shown that the most important success factor is the availability of an enabling policy environment that supports infrastructure deployment and use, capacity building and governance. This environment can be sustained if it is focused and collaborative” said Ms. Nermine Al-Saadany, Policy Advisor for the Internet Society Middle East Bureau. In order to prepare for this workshop, the Internet Society examined the legal and regulatory environment in the region and to what extent countries are ready with adequate policies to enable connectivity, entrepreneurship, privacy, competitiveness, and cybersecurity, among other topics. In 2019, the Internet Society Middle East Regional Bureau will be organizing a series of workshops with governments and other stakeholders to discuss the building blocks and the needed steps/ regulations and legal frameworks for an open and secure Internet in the various Arab countries. A paper with recommendations will then be drafted as the result of these workshop.